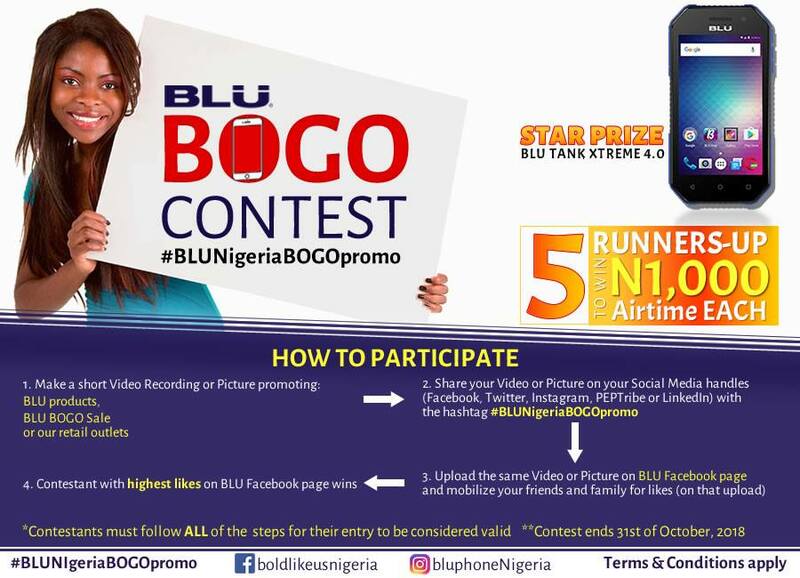 BLU Nigeria BOGO Promo !!! Here is Blu Bogo Contest. 2. 5 Runner Ups to Win N1000 Airtime Each. 3. Upload the same video or picture on our Facebook Page (here) and mobilize your friends and family for likes. Contestant with the highest amount of likes win. Contest ends 31st of October, 2018.